In this episode, we cover how to run a social media competition for your business with social media competition expert, Sukina Harrison of Origami Globe. Social media for business can be TOUGH. You set up your Facebook and Instagram, starting posting and wait for the business, sales and leads to roll on in. You put together an amazing offer aaaand.. Crickets. So you do some research, change tact and begin producing what you think is KILLER content. Crickets crickets crickets crickets crickets. No matter what you do, you can’t seem to crack the social media code and start gaining real traction. Even if you’ve being ‘doing’ social for a while and you’re beginning to get somewhere, my bet is that you’ve experienced a little of the above somewhere along the way. And it’s damn frustrating. Every businesses’ reasons for jumping on social are different, but they all ultimately share one thing in common – they want to get more clients, customers and/or sales. And whilst there’s no ‘secret sauce’, there IS one killer little tactic that can lead to really BIG results for those struggling with their social media efforts – IF you know how to do it right. And – for those who don’t know the ins and outs of running them – that hard. ..or more (! ), running a competition through your social media channels is one of the very best ways to help you get there. You’ve gotta be careful, though. This is one area of social media where it’s also easy to get it wrong. Stuff it up, and you’ll end up with a whole lot of the WRONG followers (who just want to win a prize and who don’t really care about your business or offering). Or even worse, you could land yourself in hot water with Facebook, Instagram or even state regulatory bodies for failing to follow the rules. With so many potential pitfalls (and benefits!) we thought we should sit down and have a chat to an expert to help us navigate the social media competition jungle. Suki has created BIG competitions for the likes of Woolworths, AAMI, Channel Nine, Disney and Doritos. 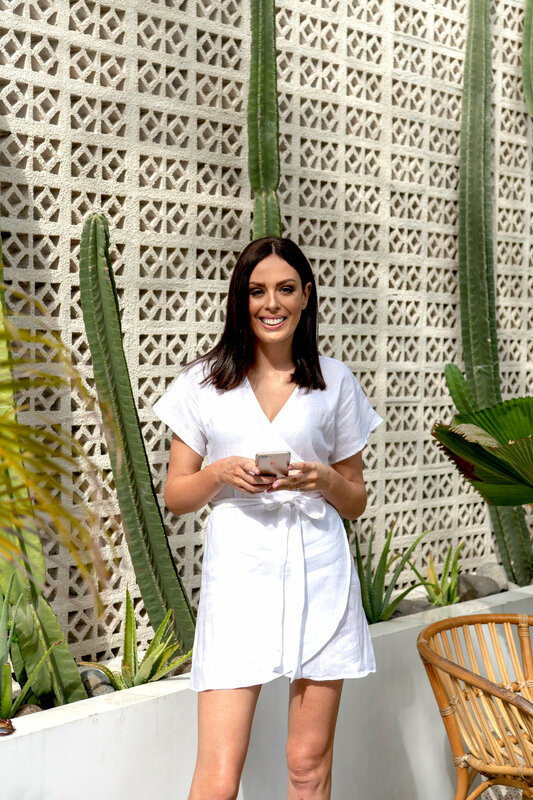 She’s also the owner of OrigamiGlobe, who are competition specialists and help businesses – especially small businesses and start ups – run more effective competitions and giveaways. Here’s what she had to say about how to run a social media competition to help you to take your social media efforts to the next level! TELL US A LITTLE BIT ABOUT YOUR BACKGROUND AND WHY YOU DECIDED TO OPEN A BUSINESS IN THIS VERY SPECIFIC NICHE? Like most stories from business owners, it starts with ‘I was working in corporate when…’! For me, I was working at a corporate travel agency that also put together travel packages for huge brands to give away in the supermarket, on TV, on the radio and through direct mail. I saw the amazing reaction these competitions got from the public (because who wouldn’t want to win a two week 5* holiday to Hawaii?!) and thought to myself, ‘hang on a minute… these guys don’t need the extra followers and hundreds of thousands of dollars of sales from these promotions, the small businesses do!’. So I absorbed everything I could, asked my clients what works and what doesn’t work, what their most popular competitions were and what totally fell flat on its face. I then took all of this incredible information and personal experience and just like constructing origami, I set about creating something exciting. And that’s how OrigamiGlobe was born! COMPETITIONS! WHAT ARE THEY GREAT FOR? What aren’t they great for?! You can pretty much use a competition or giveaway to achieve any marketing goal you set yourself. Need more followers? Run a ‘like/follow to win’ competition. Want to get feedback on your new product range? Create a survey and offer a prize. Need some product photography but don’t have the cash to pay a photographer? Get your customers to submit photos of them using your product and award the prize to the best submission! The possibilities are endless and the more creative you get, the better the response from genuinely engaged fans of your brand. WHAT ARE THE KEY ‘DO’S’ FOR ANYONE WANTING TO KNOW HOW TO RUN A SOCIAL MEDIA COMPETITION TO HELP THEM REACH A SOCIAL MEDIA/BUSINESS GOAL? This is from the Stevie Says Social Instagram, just in case you were wondering. DO have a strategy. Just like Stevie says, you won’t reach your destination if you don’t know where you’re going. I say this to my clients all the time – set yourself a goal so that you can achieve it, know who you’re marketing to (your ideal client) so that you can tailor your messaging and imagery to attract that person, know what you want to communicate to them and how you’re going to communicate it, how much you’re going to spend and what kind of timeline you’re looking at to run your competition. DO make sure it’s legal! There are two types of competition, a game of skill and a game of chance. Skill involves, yep you guessed it, skill. All entries are unique and require your entrants to think about their entry and display their talent either as a photographer or wordsmith for example. The winner is picked based on the quality of their answer. A game of chance is based purely on chance (who’d have thought?!). Everyone who enters has a fair and equal chance of winning and the winner is picked at random from the total pool of entrants. Why am I telling you this? Because a game of skill never needs a licence in any Australian state (or New Zealand for that matter). A game of chance, on the other hand may need a licence. If your competition is open to NSW residents, you will always need a licence regardless of prize value. If your competition is open to ACT residents and your prize is over $3,000 you’ll need a licence and if open to SA and NT and your prize is over $5,000 then you’ll also need a licence – NT does let you off if you have a valid licence from another state, they’re nice like that. When it comes to the rules around how to run a social media competition, I’ve done the hard work so you don’t have to – check out this quick reference guide which covers Facebook, Instagram, Twitter and Pinterest and links directly to their rules. WHAT ARE SOME OF THE BEST WAYS TO PROMOTE A COMPETITION? When advising clients on how to run a social media competition, I always say that it’s 20% strategy and 80% promotion, so please don’t skimp on the promotion! You have so many channels available to you to promote your competition that you really have no excuse! I split these up into owned, earned and paid channels. Start with your most engaged channels that you actually ‘own’ – your website, blog and newsletter. Add a banner to your site, write a few blog posts highlighting your competition, telling them how to enter and what they can win and promote the heck out of it to your subscribers. Get it in front of them and make sure they know exactly what they can win and how. Then, leverage your ‘earned’ channels, places like social media and partnerships. Update your Facebook page pinned post, header and call to action buttons, post regularly across all of your social media accounts (tailoring to each platform of course) and if you’re allowed, post in any groups you’re a member of. Here’s a social media graphic that OrigamiGlobe put together for their very own competition – most on that at the end of this article! 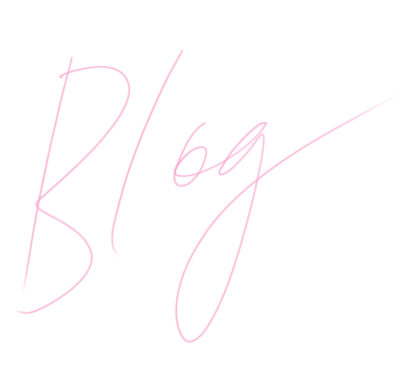 If you guest post for blogs, partner with similar businesses in your niche, or have any favours with friends to call in, do it. Get your competition in front of your target audience anywhere you can. Finally, if you have the budget, consider using ‘paid’ channels to boost or advertise your competition (Stevie has a brilliant guide on all things Facebooks ads to help you with this). I usually advise to start paying for advertising after your competition has been running for a few days to a week, so you have a benchmark and gauge of how well you do without paying. Make sure you create a kick arse image and convincing copy to draw your audience in to enter and test only one thing at a time – test copy 1 plus image 1, then test copy 2 plus image 1, then copy 1 plus image 2. By changing one thing at a time, you know what is performing best and getting you the most entries.  1/ THOSE LOOKING TO LAUNCH OR INCREASE THEIR SOCIAL MEDIA FOLLOWING? Definitely ‘like to win’ or ‘follow to win’. Keep it super simple and encourage them to share (being mindful of the social platform rules below), don’t ask them to complete too many actions and stick to your main goal of asking them to like/follow rather than comment and subscribe. This time last year I helped Luxe.It.Fwd run a like and tag competition in Instagram, together we increased their following by 39% with only a 1% unfollow rate after the competition. We were both absolutely delighted with the result, which was a direct result of careful strategising and targeting towards to ideal client plus constant promoting of the competition with regular updates and posts. 2/ THOSE LOOKING TO BOOST SALES OF A PRODUCT/SERVICE? This one definitely works best if you can see or speak to your customers face to face. If you have a bricks and mortar shop or market stall, encourage people to enter if they make a purchase or have some form is instant win mechanism like spinning a wheel or lucky dip. It attracts attention and results in instant sales. One technique I LOVE using for those collecting email addresses is to offer an exclusive discount/voucher for those who entered after a competition winner has been drawn. This generates sales and helps pay for the cost of running a competition, plus everyone feels like a winner then! 3/ THOSE LOOKING TO GET THEIR NAME OUT THERE (BRAND AWARENESS)? The key for this type of competition is to focus on the who, what and where that will get your brand seen by your ideal client. For example, if your ideal client is a social media-savvy twenty-something in the fashion and beauty industry, see if you can guest post on a beauty blog they always read, make sure if you run ads that you target only beauty-related keywords and ask any of your friends or contacts who have a decent following to post for you or consider using an influencer with a good reputation and demonstrated history of delivering on promises! I’d also say, though, that brand awareness comes as a bonus side effect of running any competition. If you’re collecting email addresses, you’re still creating brand awareness by being able to contact them in their inbox with branded newsletters. If you’re collecting followers, you’re going to pop up in their feed with your beautiful brand and stay top of mind too. WHAT CAN AND CAN’T YOU DO ON FACEBOOK AND INSTAGRAM WHEN IT COMES TO RUNNING COMPETITIONS? ANYTHING TO ESPECIALLY BE AWARE OF? Great question! It’s actually really, really, really simple. DO NOT under any circumstances ask your entrants to tag or share as part of the entry process. It’s directly against the only rules they set out for running promotions on Facebook! Now, notice how I said as part of the entry process? There’s a reason it’s italicised. You can’t ask them to tag and share to enter, but you can casually mention you’d love it if they let their friends who love [insert your product or service] know about your competition. If they tag or share it’s their choice, you’re not asking them to do it to gain an entry. Contrary to popular belief (and outdated articles on Google), you CAN ask them to like your page to enter and you do not have to use a third party app anymore, the rules changed in 2013 but a lot of articles that appear on Google when you search for social media rules haven’t changed. You can see Facebook’s full rules here (scroll to section III 3). On Instagram, however, you CAN ask them to tag and repost as part of the entry process. The only thing they expressly prohibit is asking them to tag themselves in photos they are not in. This is because they want to keep tags as accurate as possible. You can see Instagram’s full rules here. See how easy the rules are when you go direct to the source? If you’re googling to find the rules, please for the love of all things holy, go directly to the site you’re hosting the competition on. Don’t listen to third party sites that do not quote/link to the source directly or haven’t updated their post since 2013! WHAT ARE SOME OF THE BIGGEST PITFALLS BUSINESSES NEED TO BE AWARE OF/THAT YOU HAVE SEEN WHEN SETTING UP A COMPETITION? Besides not sticking to the rules above, the biggest pitfall I see is asking entrants to complete way too many steps to enter. Do you really need to collect their full address? Do you even need their last name? If your goal is to get follows on Instagram, do you really need them to like and comment on your FB post too? When it comes to competition entry, keep it as simple as you can, one or two steps to enter MAXIMUM. Think of every step you ask them to complete as an opportunity to lose entrants, like holes in a bucket losing water. If they see your post on Facebook letting them know about your competition and they then have to like the post, comment ‘win’ (ugh) on the competition post and then head to your website, fill in a 5 question survey, submit their email address and then follow you on Instagram; you’re going to get next to no entries. Decide your goal, tailor your entry process towards achieving that goal and only ask them to complete that one (maximum 2 or 3) actions to enter. You can always run another competition with a different entry process at another time to achieve a different goal. WHAT ARE SOME OF THE BIGGEST COMPETITION SUCCESSES YOU HAVE SEEN WITH BUSINESSES YOU HAVE WORKED WITH? Luxe.It.Fwd, who I mentioned earlier, were one of my favourite clients to work with. They followed all of the golden rules and got a great outcome as a result! We worked together to ensure everything about the competition was aimed to attract their ideal client, from the prize to the social platform to the entry method. This alone helped to boost their Australian following and minimise unfollows after the competition. 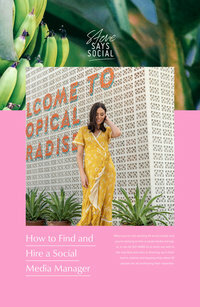 I also loved working with Revoir on their second hand fashion survey. A promotional tile from the Revoir survey competition. They wanted to know their target audience’s attitude, habits and behaviour towards second hand fashion, so they ran a survey asking a series of questions for a chance to win a second hand designer handbag (so gutted I couldn’t enter as I worked on the promo!). Surveys are always a bit of a risk because, let’s face it, humans are lazy. Unless the prize is super desirable and the questions are really relevant and engaging – we may be lazy, but we also love to talk about ourselves – the effort can outweigh the reward for some and they just don’t enter. We set a conservative goal of 100 responses for the duration of the competition, based on their current following and wanting a representative sample… they smashed this on day one! In total, they received 930 entries, 514 of which chose (voluntarily) to subscribe to their database. Wow. That’s unprecedented for a small business running a qualitative competition like this! I love seeing the small guys succeed and smash their goals, don’t you?! THERE IS SO MUCH GOOD COMPETITION INFO HERE! TO SUM IT ALL UP, WHAT ARE FIVE TOP TIPS FOR ANYONE LOOKING TO GROW THEIR BUSINESS AND THEIR SOCIALS USING COMPETITIONS? 1. Start with your goal. Know what you want to achieve once your competition is done and dusted and your winner is picked. When you know what you want to achieve, you can tailor everything about your competition towards smashing that goal! 2. Successful competitions are 20% strategy and 80% promotion. Don’t rush into launching a competition without a plan and don’t forget to promote the heck out of it once it’s live. I know such and such a company run tag and share competitions, so you think it’s OK to follow suit, but who do you think will be made example of by Facebook and get their page shut down? The big company who pours tonnes of money into advertising, or the little guy? It would break my heart to see a small business page get shut down, so play it safe and play by the rules. Don’t ask your entrants to complete 10 different actions for one entry, especially if it’s not relevant to your goal. If your goal is likes, stick to likes as your entry method. If your goal is emails, just collect the emails, then use those emails to direct them towards liking/following your social accounts. Clever, huh? 5. Don’t let your hard work go to waste. Get the free social media competition checklist. Get the free social media competition checklist! A checklist with everything you need to run a successful social media competition. Enter your details and it will be delivered direct to your inbox!  The Stevie Says Social podcast is here!